Hey everyone, it’s Doug. 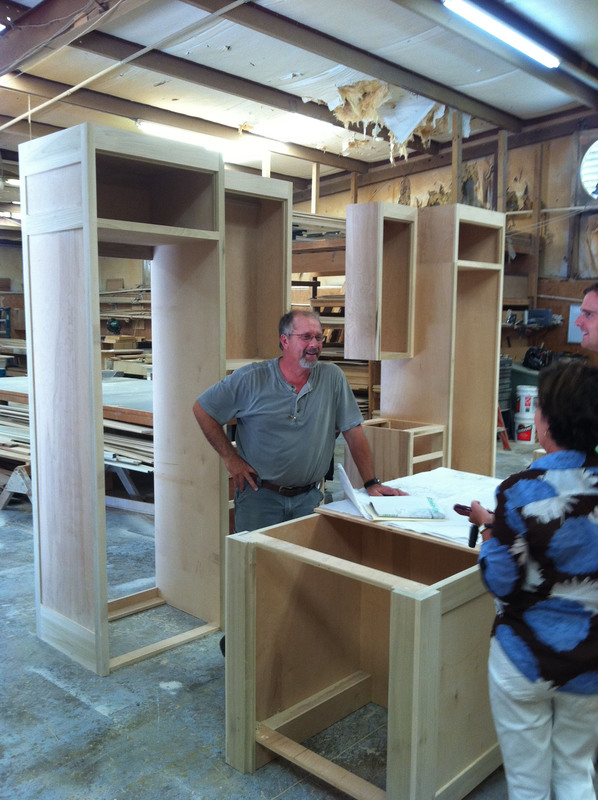 Late last week I made a trip to Montgomery, about an hour south of Birmingham, to pay a visit to the cabinetmaker who is crafting the kitchen and bath millwork for the house we’re working on at Lake Martin (which we’ve previously shared with you here). 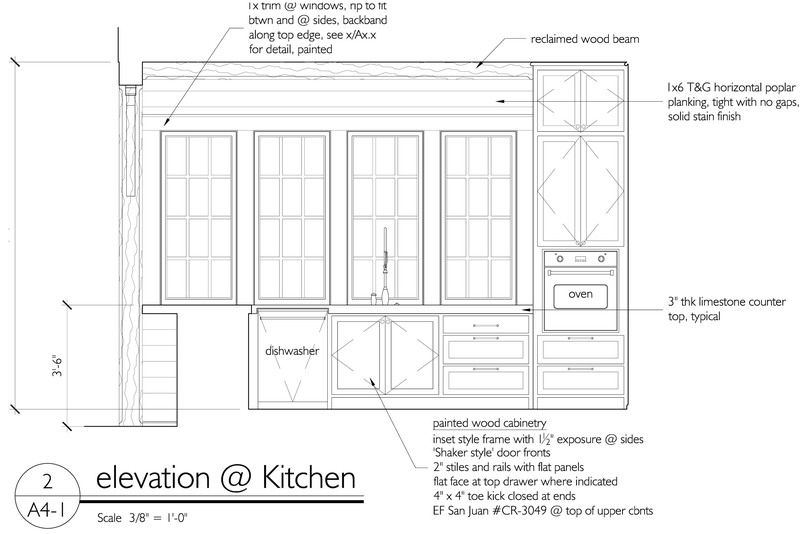 The kitchen cabinet ‘boxes’ (the structure of the cabinets and the drawer frames–but not the door and drawer fronts) have been built and the cabinetmaker set them up in a full-scale mock up that allowed our client and I to walk through the space before it’s installed in the home. That's Alan. 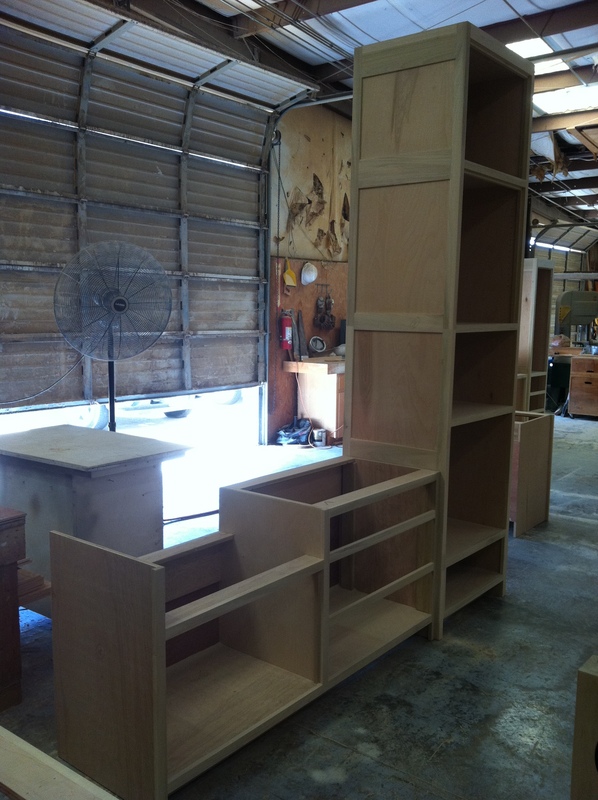 He's the cabinetmaker. And a very good one based upon my visit...everything is EXACTLY to our design drawings. Behind him is the refrigerator/range wall. 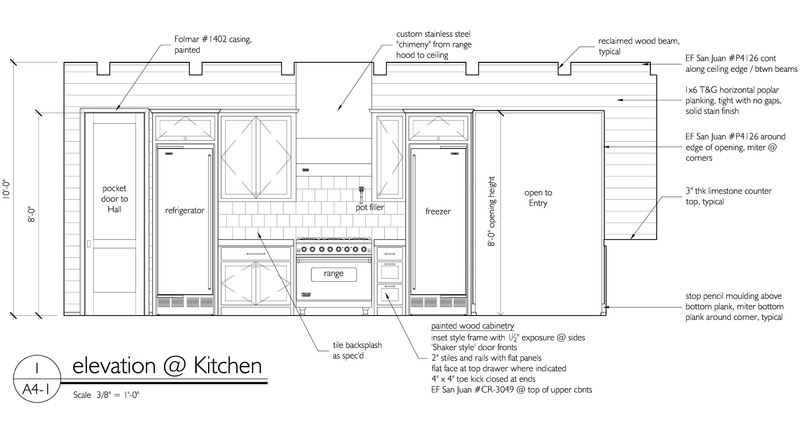 This is our design drawing of the back wall of refrigerator/range wall of the kitchen that is pictured above behind Alan. Here's the sink wall, which once installed will be completed by a wall of windows overlooking the lake slough next door to the house. Here's our drawing of the sink wall. The cabinet in the corner is admittedly, very high; but with an 11 foot ceiling the room needs some tall elements to tie the millwork to the space. 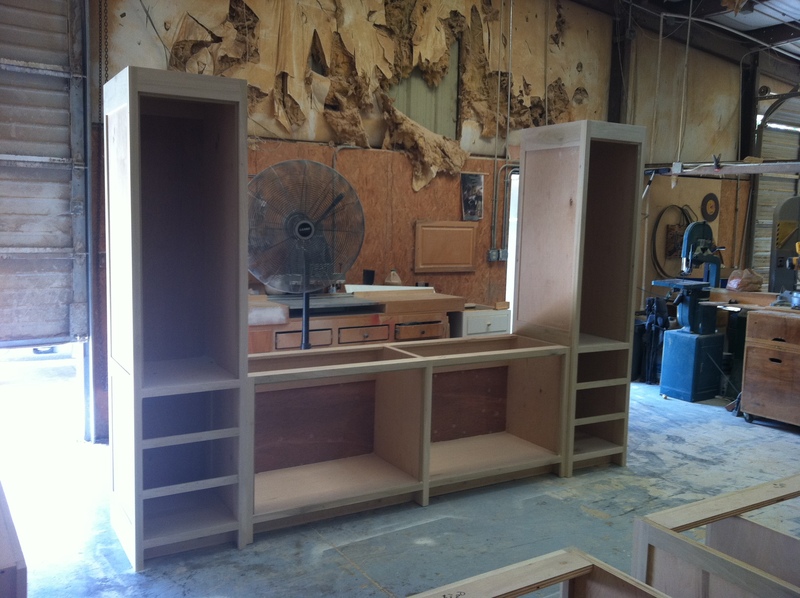 Cabinets are also underway for the Master Bathroom. Combining wood planked walls with elegant cream-colored ‘Danby’ marble, this room is going to be incredible! The wall of cabinetry for the vanity cabinets in the Master Bathroom. 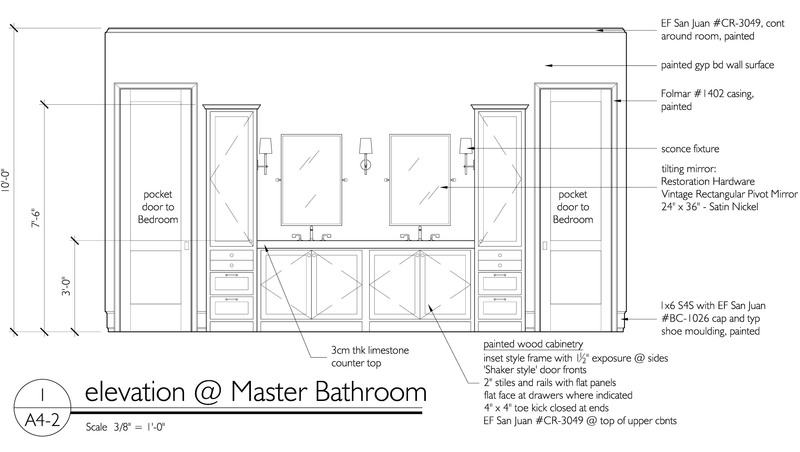 Here's our drawing of the vanity wall, old-school tilt mirrors and shiny nickel sconces will complete the space. Things are really starting to shape up at this project…we’ll post more updates soon! Hi! Paige here. AK and I are working on a renovation in Seagrove Beach. It is for a young couple, their son, and their 3 dogs. I went by this morning to check on the progress and wanted to show all of you a couple photos. The kitchen is under construction. 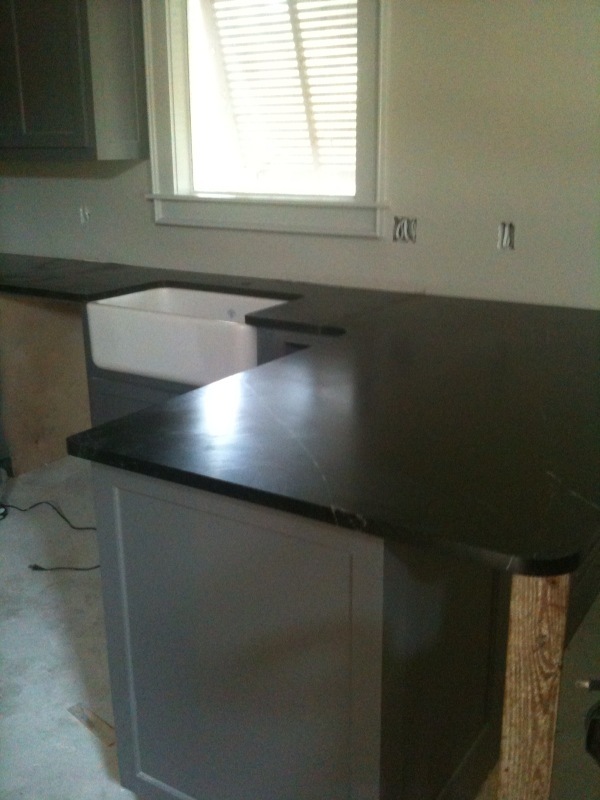 We designed new cabinets and are using soapstone countertops. 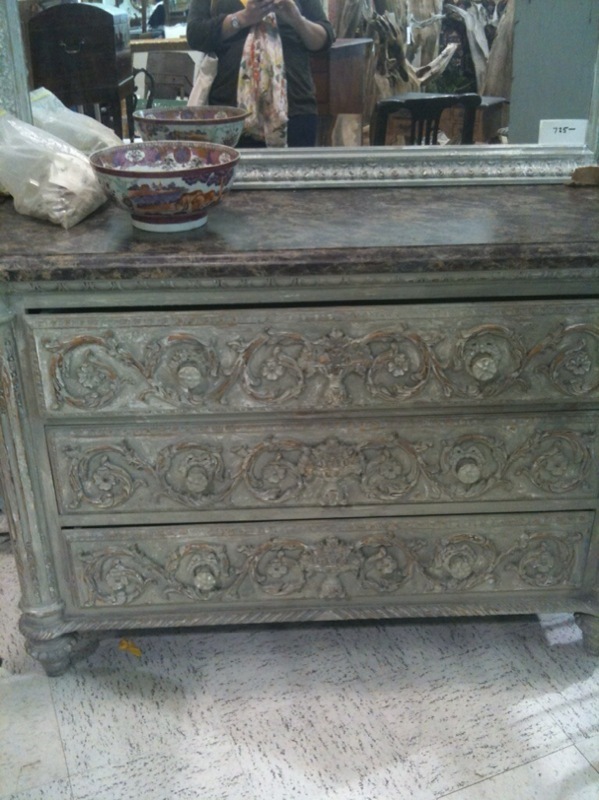 This piece will be used in one of the bathrooms downstairs. It is going to be beautiful! 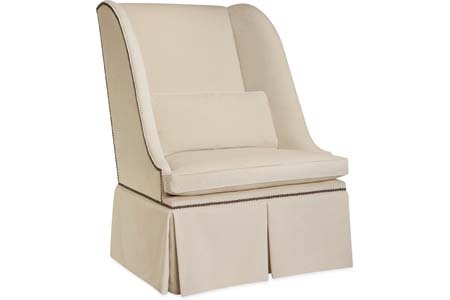 We have a pair these slipcovered in grey velvet for the living room... they are going to be yummy! The floors are oak with a whitewash. LOVE these floors! We can not wait to see the house come together! It is going to be great! We will share more photos soon. 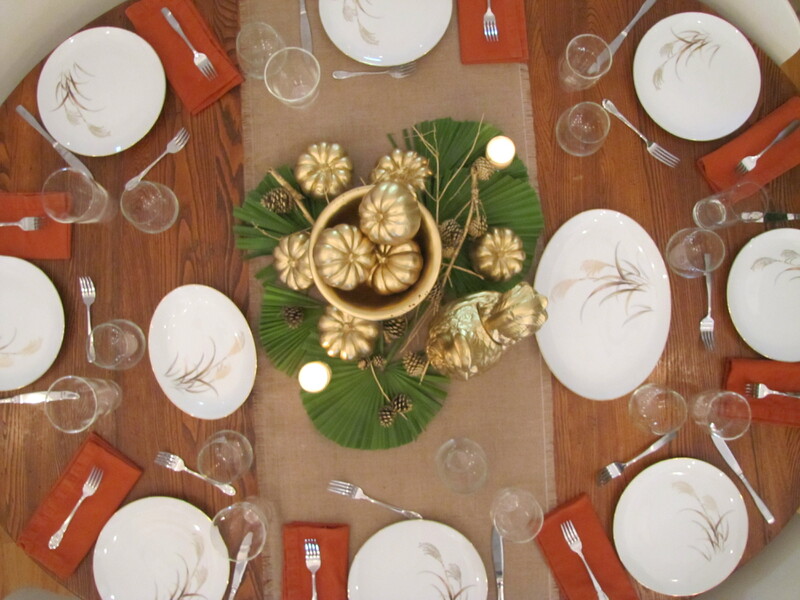 Thanksgiving table… vintage gold style! Hi all! Paige here. I hope everyone enjoyed Thanksgiving and I hope you consumed lots of Turkey with all the fixings! 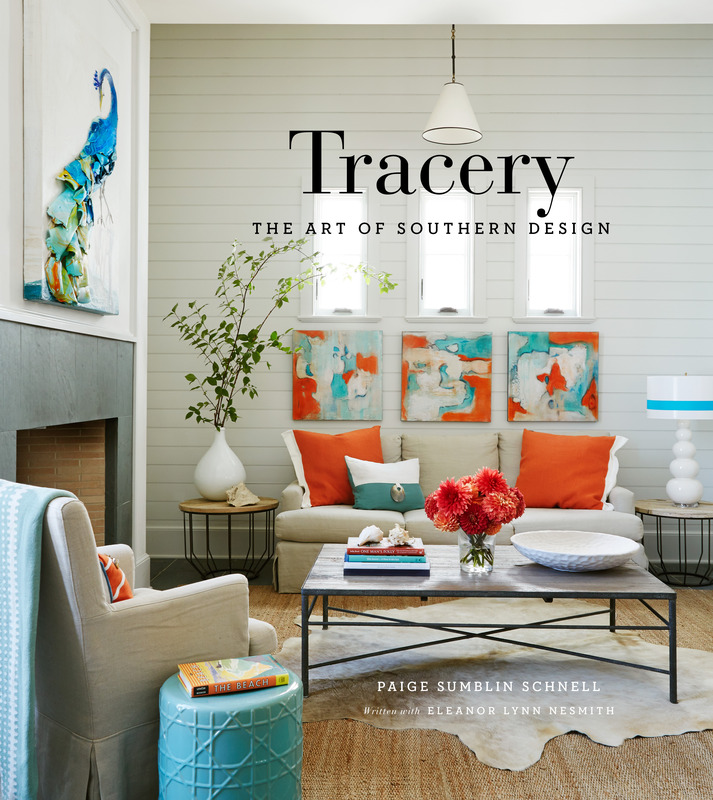 We hosted 23 at our home in Seagrove including Anna Kay from the Tracery crew and Seleta and her crew from over at Simply Seleta. We had lots of fun, food, drinks, and thankfulness. Having so many people together is always so much fun and makes the holiday so awesome! 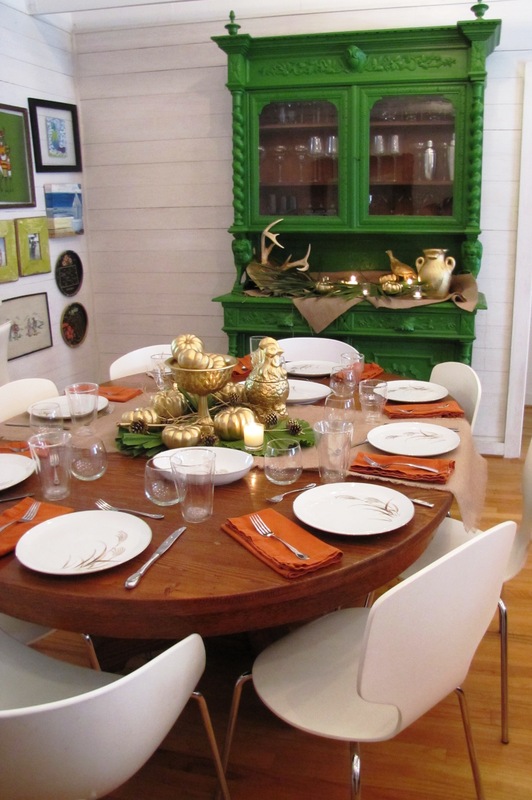 My mom, my daughter, Mallory, and I had lots of fun creating the thanksgiving table. I felt at sometimes like we were channeling a little Eddie Ross (do you ever visit Eddie’s blog? If not, you should). My mom loves to find lots of fun finds at local flea markets and antique shops so she made the perfect partner. Of course there are some items from Tracery. 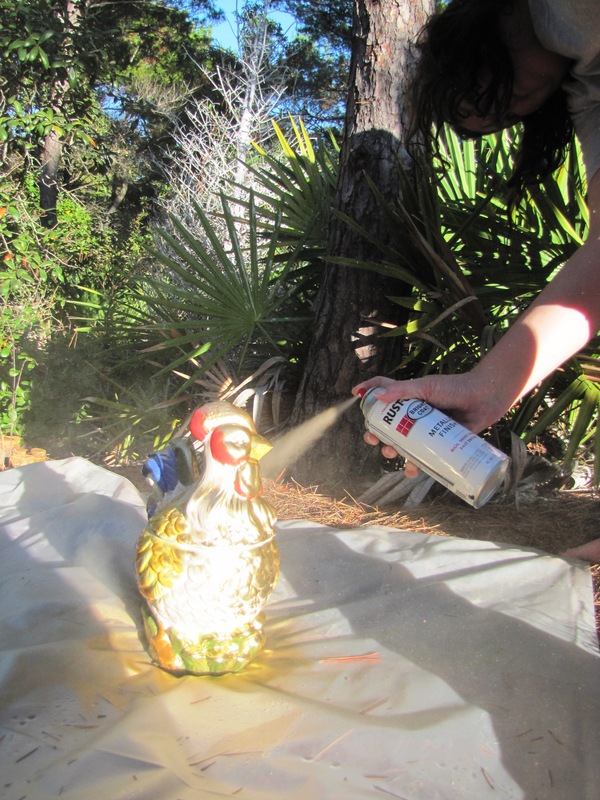 All of our fun finds along with some burlap and gold spray paint and we were off to the races! 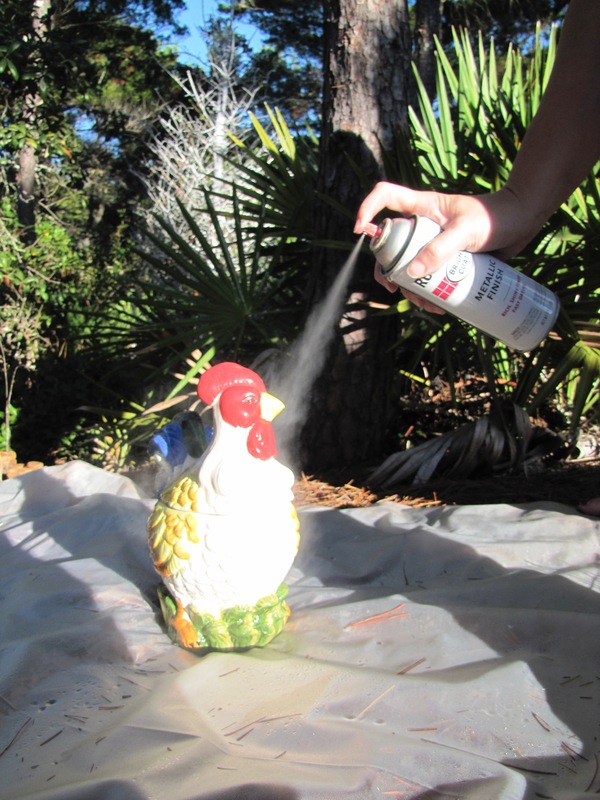 We gathered all of the items that were for the table with our cans of spray paint! 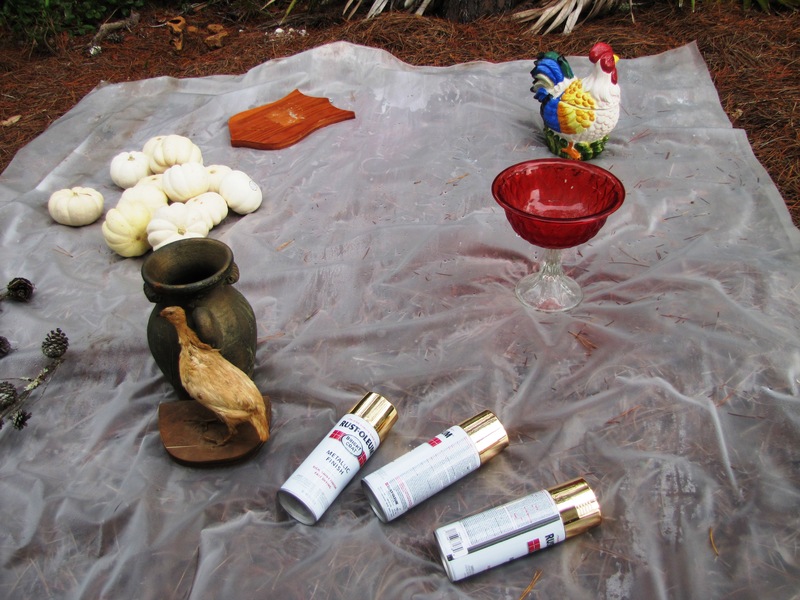 Painting the red glass bowl. 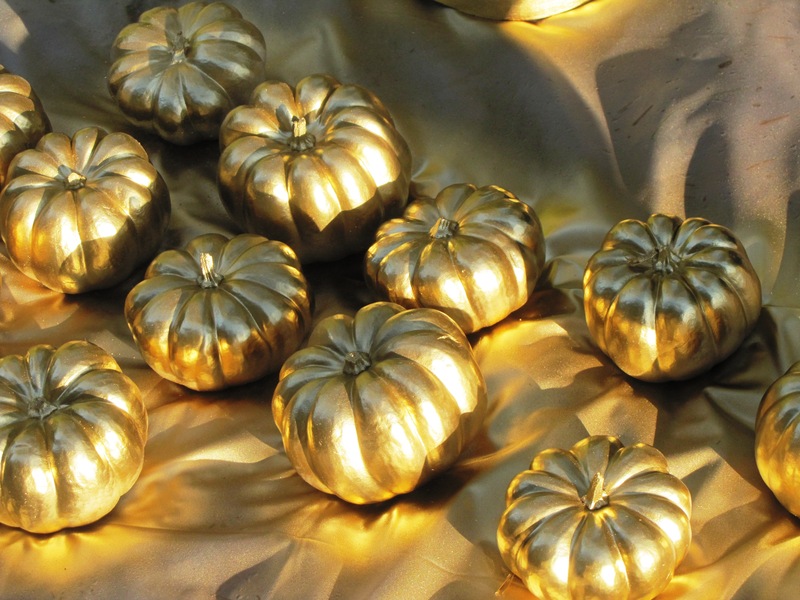 I used these white pumpkins in a white bowl on my dining room table for a few weeks before thanksgiving. 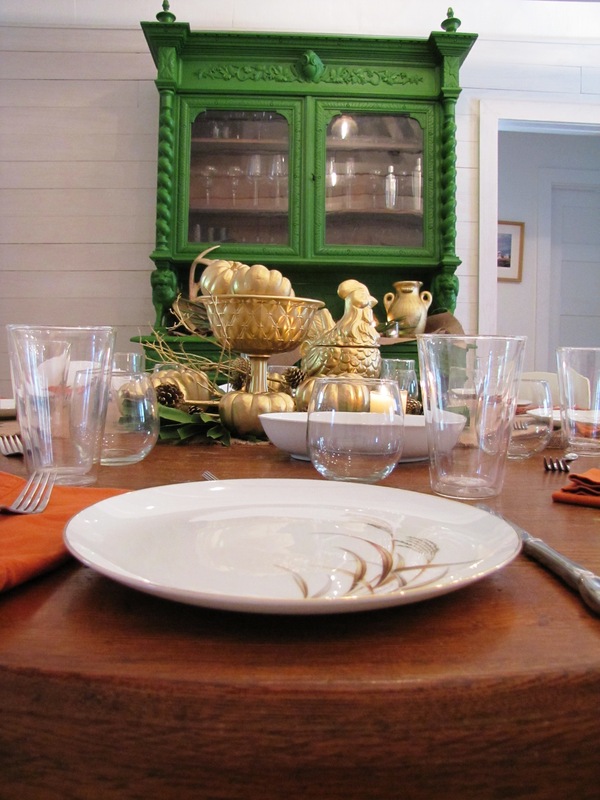 We set the table with the dishes that my grandmother left me. The have a gold rim and gold wheat. I hope you had a great Thanksgiving! Now onto the next holiday! Hey, it’s Doug, I hope everyone is doing well today. Having grown up in the 80’s, I have to admit the idea of using brass in an interior doesn’t immediately appeal to me. It seems that every renovation project I’ve completed for the past few years we’ve removed brass fixtures and fittings and replaced them with nickel or bronze. Lately, brass is making a comeback, though thankfully in a modified form from the shininess that defined the finish 25 years ago. Unlacquered brass lacks the slick top layer that keeps the brass finish of the 1980’s looking bright forever. 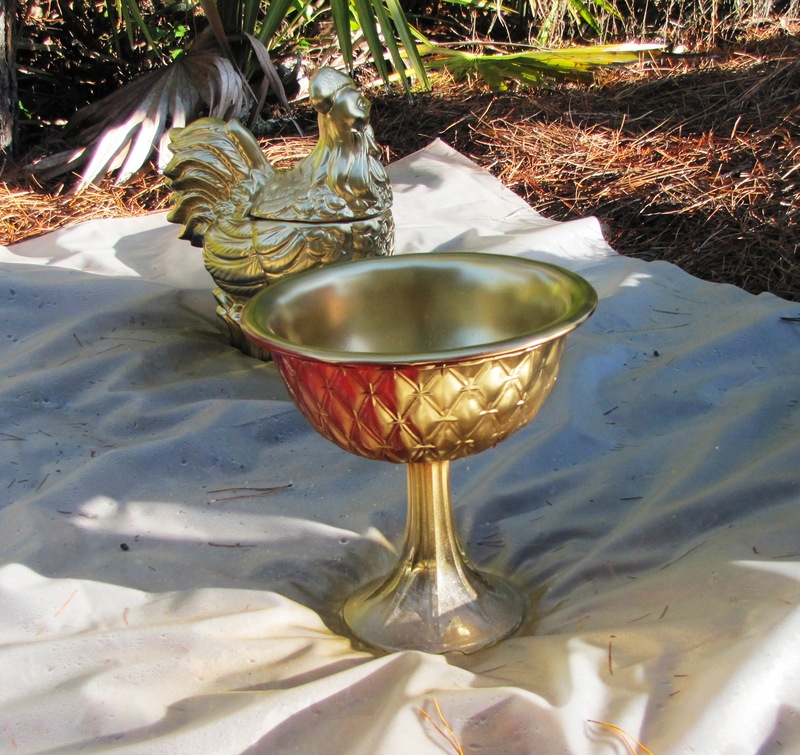 Instead, unlacquered brass weathers over time and takes on a beautiful and warm patina. 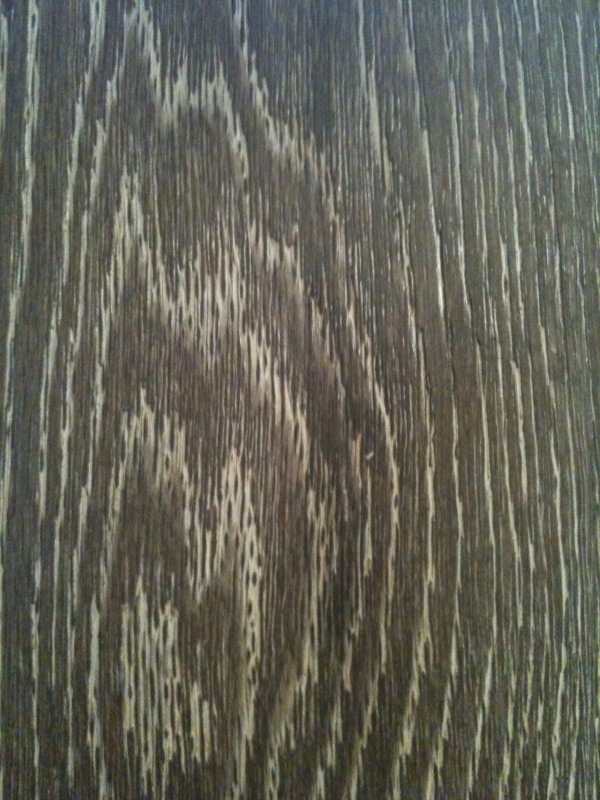 The first time I was exposed to this finish was at a client’s suggestion a couple of years ago. When we were designing the architectural interiors for the 11 Bonita project, our client kept insisting on “living finishes” which I was all for — until he asked for brass! After some convincing I came around to his vision of brass faucets and door hardware that would weather naturally over time — with more tarnish in the areas that were touched the most and bits of shininess left around the edges. The potfiller above the Lacanche Sully range in the 11 Bonita kitchen is of unlacquered brass. I had the rivets on the custom steel rangehood we designed made from unlacquered brass as well to accentuate the detail. Our client ordered the range with unlacquered knobs and pulls as well to complete the look. 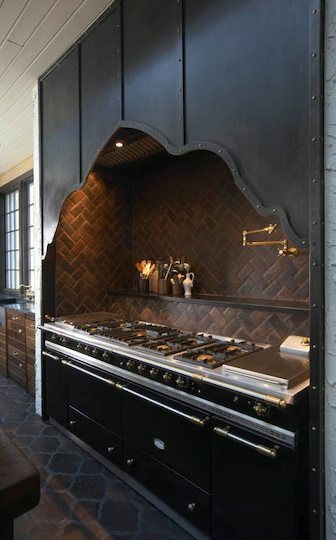 I mentioned last week in our post about Hamilton Sinkler’s return air grill that I specified for a home here in Mountain Brook we’re helping to renovate, that we were also replacing door hardware throughout the home. The original 1920’s hardware is unlacquered brass and thankfully we’re able to replicate this finish for the replacement knobs we’ve selected. Sometimes when the finish can’t be readily acquired, our very talented friends at Brandino Brass will have standard brass fixtures ‘dipped’ to strip the top layer of the finish away. Speaking of unlacquered brass door hardware, check out this beautiful interior set–the Coleman from Rejuvenation. Imagine how good it would look after a couple of years’ worth of use. Waterworks has recently debuted a new collection called Henry and there are some wonderful unlacquered brass fixtures available in it. Isn’t that good looking? Besides the finish, this collection is such a great blend of tradition and clean lines. Construction is about to begin on a bar that we designed in Chattanooga…we’ve designed an unlacquered brass shelving system which will run along the back bar and hold bottles of liquor. It fits perfectly with the warm vintage feel we’re creating for this project — we’ll be sure to share photos of this feature when it’s installed. So what do you think? Are you ready to embrace brass again–albeit in a different feel from the slick look of the 80’s–or is it too soon for you to go back to the look? We always love hearing what you think. We’ve showed you some images from the remodel of this Rosemary Beach kitchen before, but we recently had the house rephotographed and wanted to share these new images as well. When this family from Atlanta purchased their home the first thing they did was head down to our shop at 72 Main Street. They said, “We just bought a house and we need your help!” For this young family Paige and Anna Kay created a look that was clean and mostly composed of tone-on tone-of whites and linens with hints of blue found in the Gulf that is just outside the windows. The kitchen started with pickled wood cabinets and peach granite countertops with a step up bar. We left the general layout of the kitchen and the appliances and extended the island at all counter height and surrounded it with stools to be able to enjoy a bowl of cereal before a day at the beach. 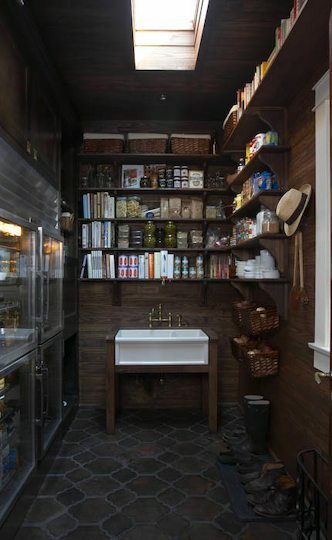 The lower cabinets are painted a dark chocolate brown with the upper cabinets painted the same bright white as the walls. We really love how this weights the lower cabinets. Also, throughout the kitchen and the adjacent living and dining room we selected solid wood beams and painted the pickled ceiling bright white to match the walls. All of this created a kitchen that makes it the perfect place to hang out with a glass of wine and watch the sun set over the Gulf of Mexico.